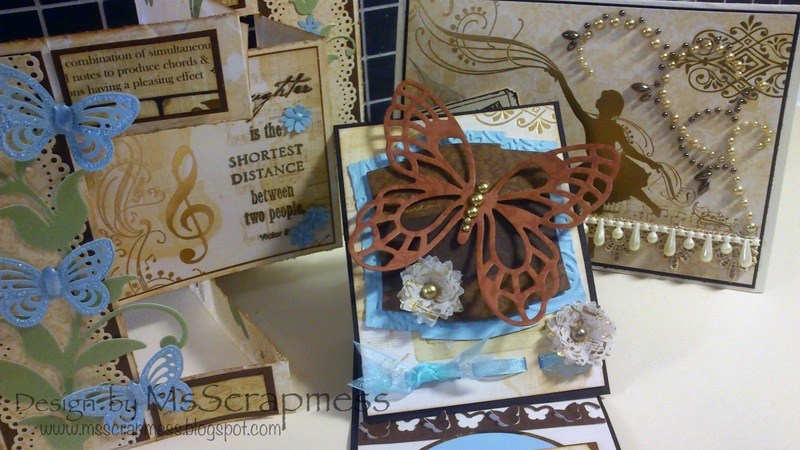 "Calling all Cardmakers … Core’dinations ColorCore Cardstock is looking for Card Designers!" I just found out about this yesterday?! But one have to give it a go - right? I've just about managed to get three cards done. 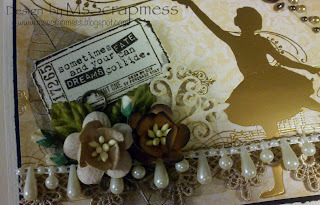 Which I had superfun making, since I had to pull out all my dies and punches. 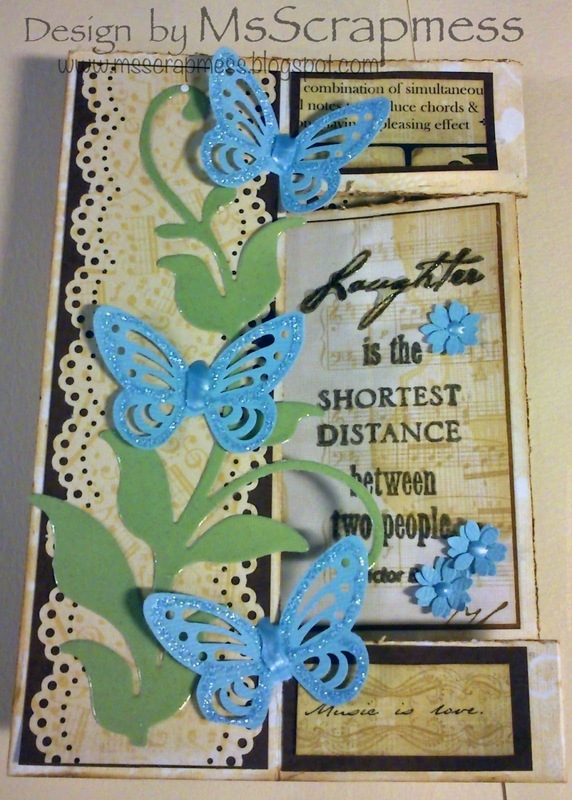 Thanks to IAR I rarely make any flowers anymore and thanks to ebay, I get my hands on cheaper bling as well - LOL! My first card I made of a fun folding technic, I think it's called tri-fold. I'm not very familiar with the cordinations collection to be honest, again thanks to youtube I only buy patterned paper now a days. But I've tried the core'dination's paper just for the fun fact that you can emboss it, tear it, sand it without getting any white edges. 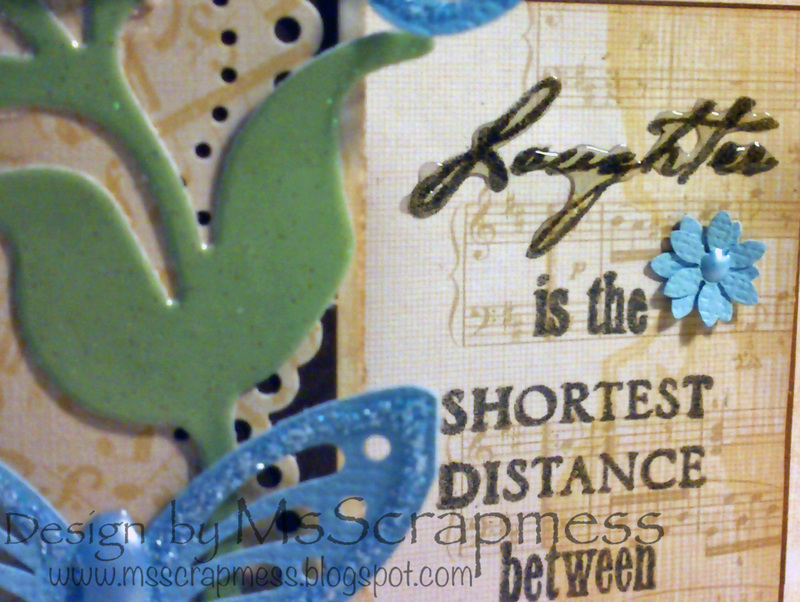 So I had the tiniest scrap piece left in blue. The collection I have used is the DCWV performance mat stack. I used this both in order to save time and to show "same, but different". 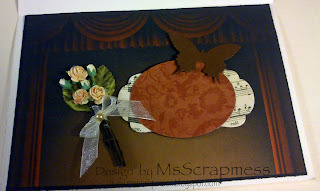 My second card is an easel card. 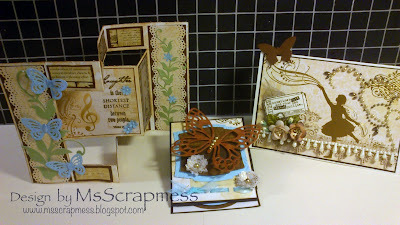 Here I used the core'dination paper with an embossing folder and layered with spellbinders die cuts. The flowers are just a flower punch, this is one of my first punches and I don't remember who it's from. 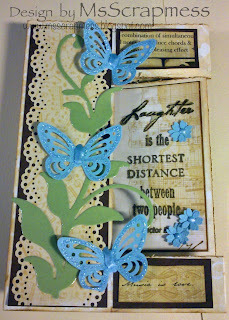 But I layered 8 flowers on top of each other, to give it dimension and glued a flat back in the center. 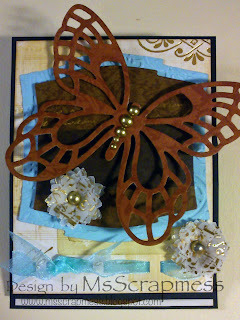 I used a Martha Stewart ribbon slot edge punch and thread some matching blue organza ribbon through and made a knot. The large butterfly is from Spellbinders "Fancy flight". Inside the card is a sentiment layered on one of MFT's layered sets. I can't find the name of it, but if you want to know. Leave a comment and I will look for it for you. 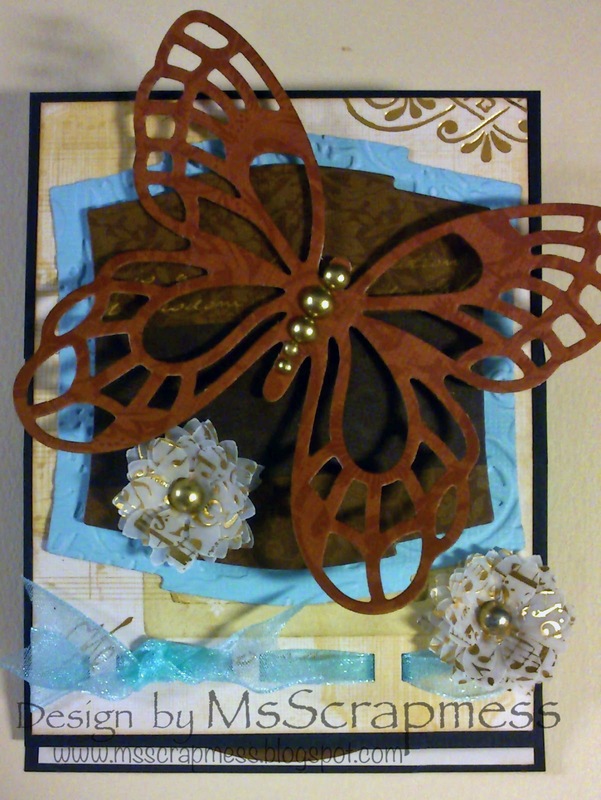 The card stand on a Martha Stewart butterfly edge. 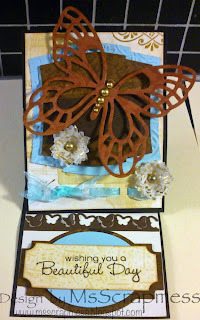 For my last card, you can tell I ran out of core'dination paper as well as time. 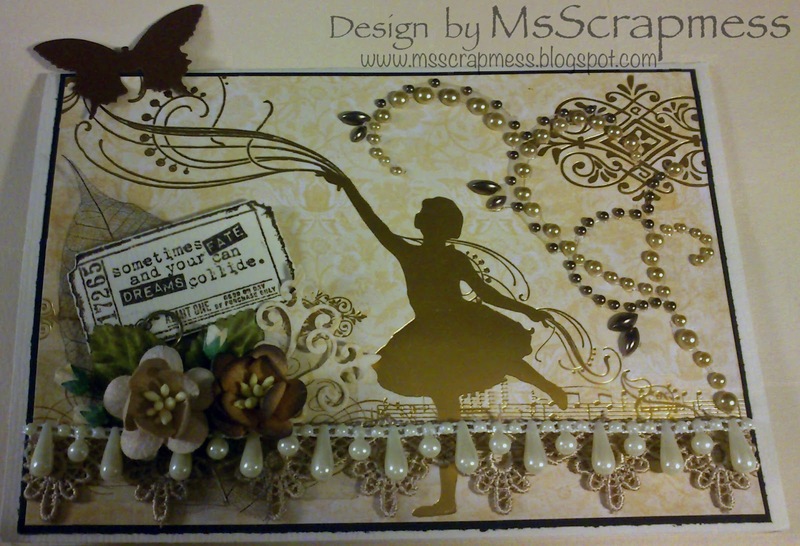 But here I wanted to use the paper itself, how can you cover this beautiful ballerina?! 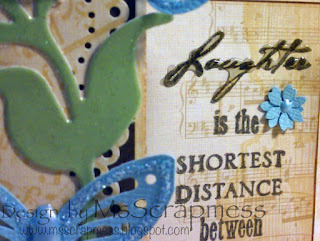 So I used the mini flourish from MFT and fussy cut a ticket I stamped with a tim holtz sentiment from the odds and ends stamp set. Then I went crazy with lace, IAR and bling. For the inside I made a bouquet for when the curtains fall - LOL! 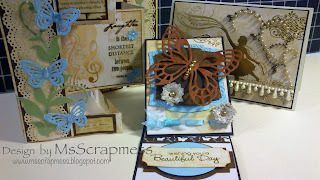 So that's my crazy frenzy for the core'dination's cardstock design team call. I very much doubt that I will get on the team, but I had the best time making these cards - LOL!! If you have any questions, please don't be shy!! Hi thanks for your visit on my blog, Sweden was lovely...did stay only few days as it was part of a tour of Europe...now on my return. Had a look at your blog..you love TGF too I see.